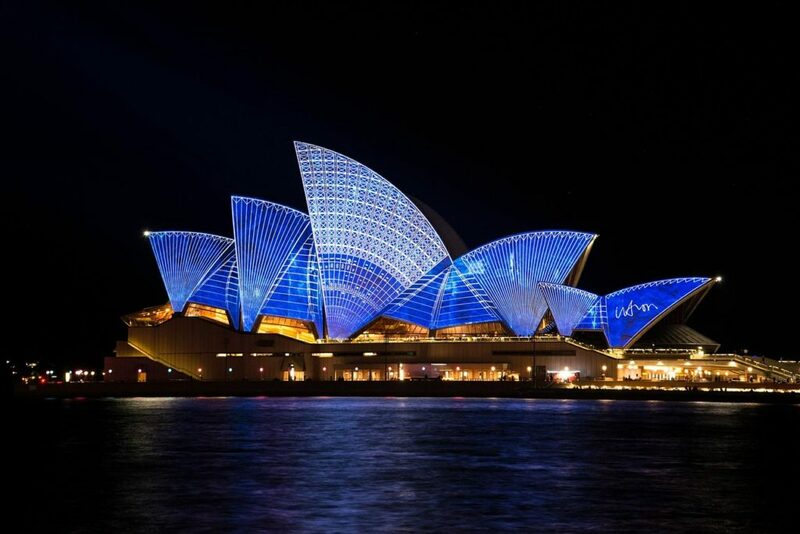 Australia is best known for its iconic destinations like The Great Barrier Reef, Sydney Harbour Bridge, Uluru, and so on. But there are several amazing offbeat destinations and adventures in Australia that will show you the true side of Australia. And there are many amazing highways and routes that allow you to go on amazing roadtrips in Australia to properly explore. All you need to do is rent a car and then take a road trip on a few of the most amazing routes in Australia. It doesn’t matter if you are traveling with your friends or family; one of the best ways to explore Australia is by taking a road trip. Road trips make exploring more flexible, practical, and cost-effective and are the best way to make sure that you don’t miss any important stop on your journey here. Here are a few road trips that you can experience if you are staying for 3-4 weeks in this diverse country. One of the best and the most traveled roadtrips in Australia; Sydney to Brisbane road trip is a 900km stretch with beautiful beaches, rolling hills, riverside towns, and so on. A drive along the Pacific coast allows you to stop at some amazing places like the Hunter Valley, Byron Bay, Gold Coast, etc. on the way. On the way, you can stop at the beaches here and watch people on their surfboards or you can go for a whale watching trip to witness the migration of the humpback whales. That’s not all though. You can also enjoy a tour of the vineyard in the Hunter Valley and enjoy cruising or opera house while driving along this route. So, don’t forget to take a long drive along this coast to see how the locals roll in Australia. If you love driving along the coast then 75 Mile Highway is certainly one of the best routes to consider. 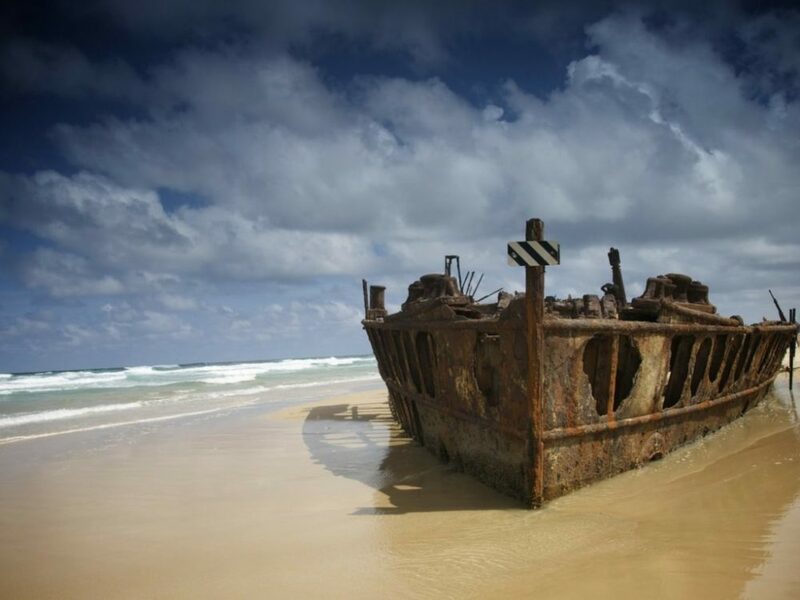 Fraser Island is known to be the largest island in the world and offers some amazing landscape for road trips. You can drive along the beach here and explore some exciting shipwrecks, forests, and gorgeous lakes on the way. On the drive, you can also relax and chill on the famous 75 Mile beach, explore the Maheno shipwreck, explore Lake Mackenzie, Kingfisher Bay, Eli Creek, and so on. Trust me, if you want to explore the Fraser island in Australia then a road trip is the best way to do that to make sure you don’t miss out on some nice spots here. I am not exaggerating when I say that Great Ocean Road drive is one of the most famous trips on this planet and there is a reason for it. Starting just outside Melbourne, this drive covers a stretch of 250 km from Torquay to Warrnambool and offers the most stunning views on the way. 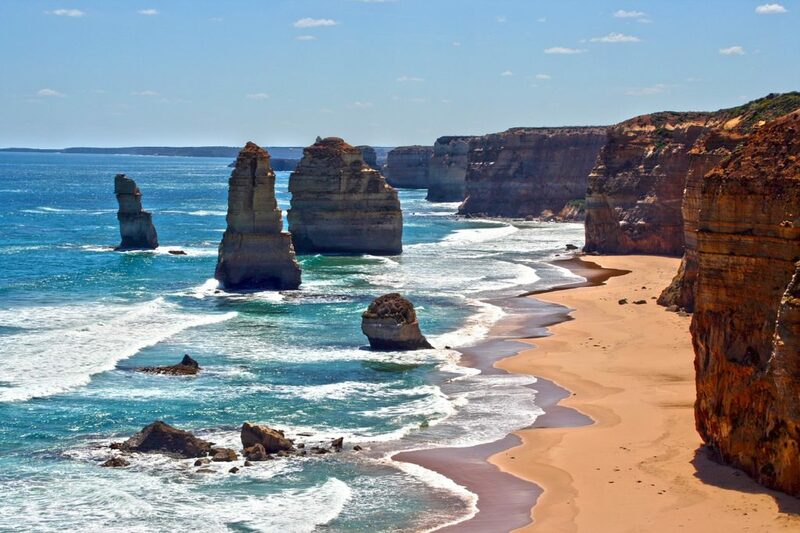 You get to admire the 12 Apostles on the way which is a popular tourist attraction in Australia but that is not all. There are amazing coastal sceneries, waterfalls, beaches, national parks, etc. on the way which give you a look at the diversity of this country. On the way, you can spend some time at the Lock Ard George, Port Campbell National Park, Apollo Bay and many other amazing points which will easily keep you occupied for a few days. One of the shortest road trips in Australia which offers two of the most popular attractions in the country, Cairns to Cape Tribulation should definitely be a part of your itinerary. The tropical North Queensland is home to two natural wonders, Daintree Rainforest, and the Great Barrier Reef. 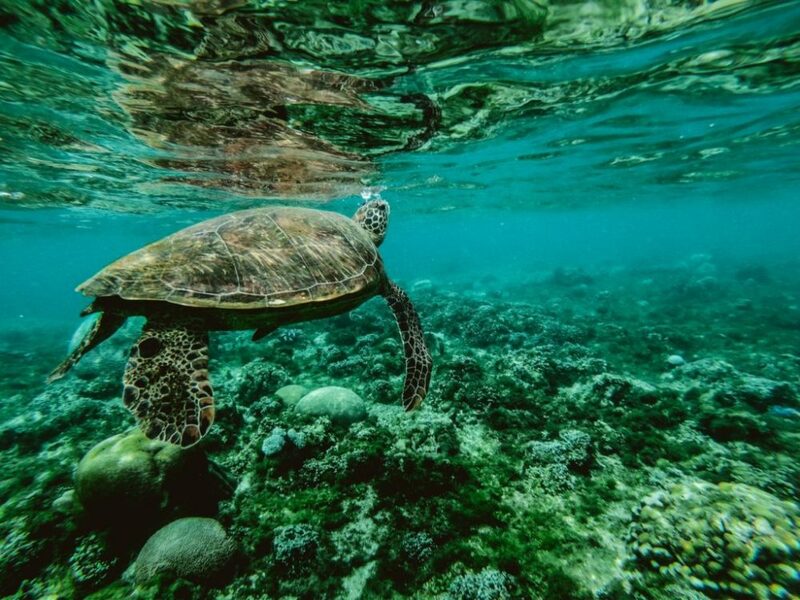 So, you can start your road trip and head to the Great Barrier Reef to enjoy scuba diving while admiring the exotic marine and coral life here. On the way, you can make a stop at the Port Douglas beach to relax and take in the ocean view and then you can make to the famous Daintree Rainforest. In this forest, you can hike and explore the riverside and then finally reach Cape Tribulation to spend some time on the serene beach over here. The best time to go on this 150 km drive would be during the winter months as you can escape the heat and humidity and will have pleasant weather for the drive. One of the most ultimate road trips that cover a distance of approximately 4000 km, The Savannah Way stretches from Cairns, Queensland to Broome, Western Australia. This route covers some of the most exotic wonders in Australia like the Undara Lava Tubes, Cobbold George, Gregory River, Karumba, Boodjamulla National Park, and so on. This road trip can easily take 10-12 days but it is going to be legendary, offering you some amazing coastal and hill views on the way. You start from Cairns and make your way to the Atherton Tablelands where you can admire the stunning waterfalls, farmlands, rainforests, and so on. On the way, you can also make a stop at the Hot springs for a couple of hours and then explore the longest lava tubes in the world. Explore the beautiful gorges, escarpments, etc. while enjoying some amazing sunset points on the way. Trust me, a trip to Australia without covering the Savannah Way is a trip incomplete. Although most other countries can be explored via public transport or flights, Australia is one of the few places which are best explored by driving. So, make sure you rent a good car here to make the most of your time in this amazing country.